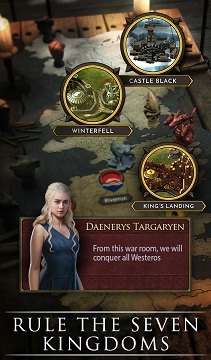 The Strategy Game By Warner Bros. International Enterprises “Game Of Thrones: Conquest” Is Now Available Worldwide. Android Users Can Download It From Google Play Store. Rating Of This Game Is Not So Good, Android Devices Running 6.0 Or Above Can Download, Install Or Play This Game. This Game Comes In Strategy Category. In This Game, You Build Your Great House, Create Your Sigil, And Fight For The Crown. You Will Also Interact With Characters Of Hit HBO Series Including Jon Snow, Daenerys Targaryen, Petyr Baelish, Cersei Lannister And More. Claim Your Territory To Rise In Political Influence, Raise Your Army, Dominate The Map, Clash With Your Enemies. You Can Download This Game From Here. You Mus Have Android Marshmallow Or Above To Install And Play This Game.